What innumerable joys has God afforded our family since we (Don and Cindy) exchanged vows on May 7, 1977. We have been blessed to share our lives and ministry together on the road for almost the entirety of our married life. As heirs together of the grace of life, the Lord was pleased to give us four children, Nathan, Aaron, Hannah and Rachel. We are eternally grateful for how He has used our children to encourage us over the years through their unique personalities and diverse perspectives. We joyfully make our boast in the Lord that our sons and daugters all attest to possessing saving faith in Christ as Lord and Savior. Along with our four children, we are blessed to have two wonderful sons-in-law and one sweet daughter-in-law. 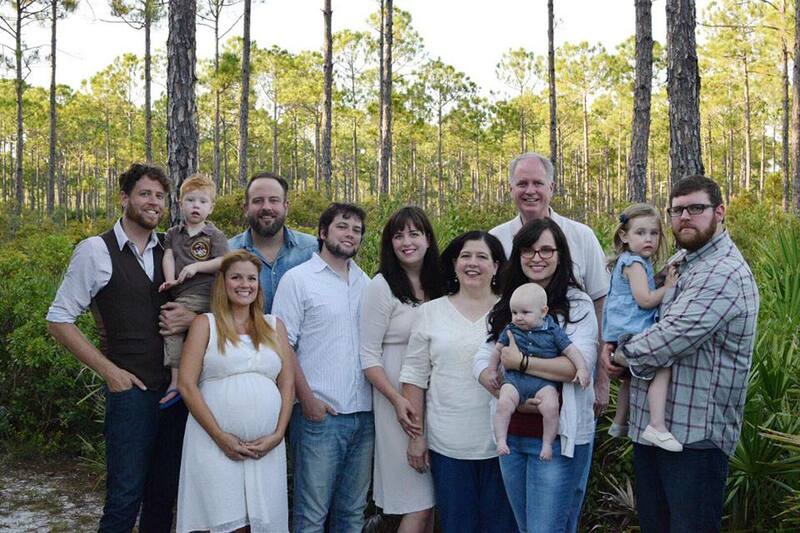 We are grateful for four children, three in-laws and four grandchildren. Our son, Nate, presently lives in Clearwater, Florida, where he works as a freelance web and graphic designer and performs as a singer/songwriter. His website is www.nathancurrin.com. While much of his living comes from his web work, he also is a songwriter and musician and has toured the country performing over 700 shows the last 10 years. Aaron, and his wife, Danielle, reside in Clearwater, Florida as well, where he serves as lead pastor for BLDG 28 Church (www.bldg28.com). Danielle works as a health care sustainability specialist, serving ten full hospitals and two psychiatric hospitals in the greater Tampa Bay area. In 2015, Aaron and Danielle adopted a son, Spurgeon and in 2016 they were blessed with their first biological child a little girl named Evangeline (Evie). Our daughter, Hannah and her husband, Josh, live in Muscle Shoals, Alabama. Married for almost 6 years now, Josh works for the Florence City Public Schools as a computer technician, while Hannah works from home with her own lifestyle blog called Thistle Harvest. Rachel and our other son-in-law, Nick, along with our granddaughter, Phoebe Grace and grandson, Graham are living only five minutes away from our home in Tuscumbia, Alabama. Nick works for Gentiva Home Heath Care as an occupational therapist and Rachel is a full time, stay at home mom who still occasionally fills time as a hair-stylist as well.